The launch of new Cyrillic domain name extensions is upon us. .ОНЛАЙН and .САЙТ is Cyrillic for .online and .site, which is an ideal extension for those who use this script, especially in Russia, Bulgaria, Bosnia & Herzegovina, Belarus, Kazakhstan, Kyrgyzstan, Macedonia, Montenegro, Serbia, Tajikistan and the Ukraine. The Launch Phase for .САЙТ will start on 16 January 2014 and will end on 18 March 2014 11:59:59 UTC. During the single 60 calendar launch period, four categories of applications will be accepted. 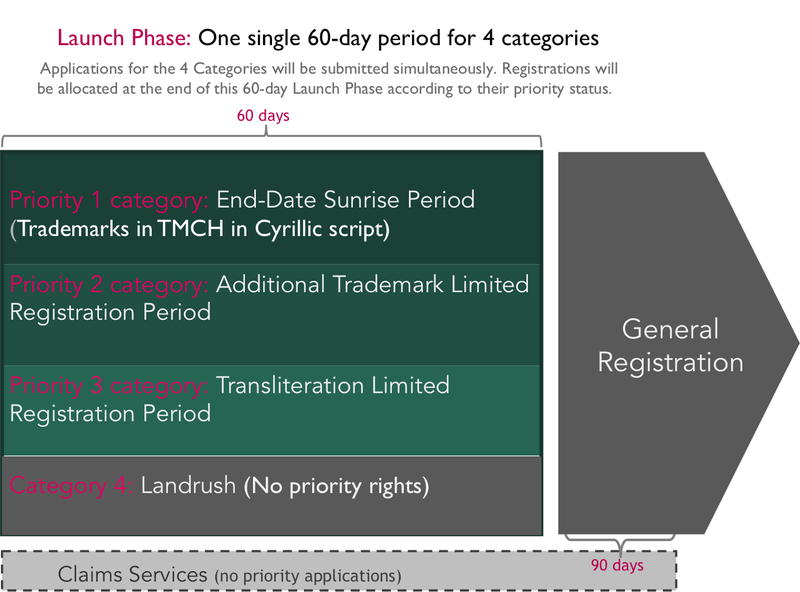 Applications for all 4 categories will be accepted simultaneously and will be allocated at the end of this single 60-day Launch Phase window according to the hierarchy of priority status of each category. TMCH validated marks in Cyrillic script. (iii) if they are registered trademarks, they were applied on or before 13 June 2012 and granted on or before 14 Jul 2013; or if they are trademarks protected by a statute or treaty that such statute or treaty was in effect on or before 26 June 2008. Should there be more than one eligible application for the same domain in this Sunrise Period category, the contention will be solved through an auction process. Limited registration period for trademarks in Cyrillic script registered in the OHIM, Bulgaria Macedonia, Russia, Serbia and/or Ukraine. (ii) Trademarks in Cyrillic script protected by a statute or treaty that such statute or treaty was in effect on or before 26 June 2008. The conversion of these trademarks into labels will follow the TMCH Guidelines. Should there be more than one eligible application for the same domain in this category, the contention will be solved through an auction process. Limited registration period for transliteration or transcription of Latin script TMCH validated marks into Cyrillic-script labels. Eligible trademarks under this category will be transliterated or transcribed into Cyrillic script according to CORE’s Guidelines, and subject to CORE’s individual review and approval. For registrants without priority rights. Any Cyrillic script string that meets side/online general eligibility requirements. No prior rights need to be claimed for application of this category. Registrations are processed on a first come, first served basis. We are an accredited registrar and trademark clearinghouse agent and able to assist you in securing your trade marks within these new gTLDs. Email brandprotection@lexsynergy.com should require assistance or advice on how to protect your trade marks within the new gTLDs.